And since we're sure to enjoy some quality time out there, I'm inspired to kick it up a notch with some outdoor accessories. -A striped umbrella screams italian Riviera to me and what could be more perfect to conjure in an outdoor space? Something like this would be nice to sip a cocktail under. -Some nautical seat cushions are also calling my name. -And since I seem to find a way to sneak mason jars into just about any project, I think this DIY idea would work quite nicely. -I'd love to hang a vintage buoy on the walled side of our deck for added visual interest, how cool is this find? -Melamine plates and summery flatware are perfectly practical for outdoor entertaining (and indoor alike). -And to keep the bugs at bay, I'm thinking of making my own natural bug spray or picking up some from Aubrey Organics. great deck inspiration board, were currently working on spiffing up outs, yours looks amazing! Love the new look! The planter box is a perfect touch. Enjoy the new space you've created. Cheers to you and Mat! I love the inspiration board! Bamboo handled flatware would def. be on my list too! 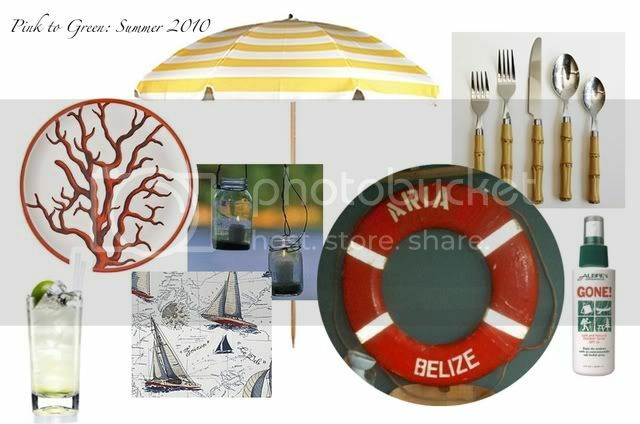 I love the inspiration board, a little nautical but so versatile! I love the inspiration board for your patio, great colors! How fun is that umbrella?? LOVE! Very cute! I love your table setting and was thrilled to learn you wanted to hang the buoy on the side of the deck. I am a huge nautical fan and think it would look great! 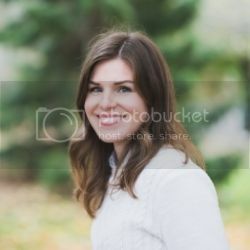 your blog is a complete gem. i am so glad that i am here. Great shot! I'm digging those placemats. looks great! I love al fresco dining. That umbrella is pretty amazing too. 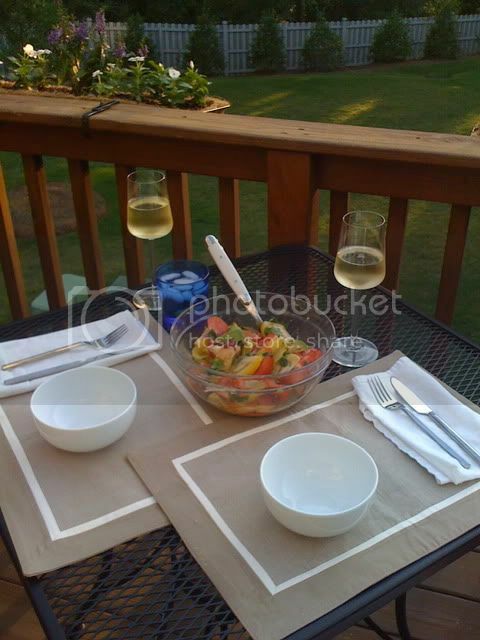 What a lovely meal on a lovely deck---I'm green with envy! Oh and the umbrella---too cute. great inspiration! I am ready for summer too... the weather is just getting warmer here too. Looooove the striped umbrella...and your landscaping is just gorgeous! Thanks for the rec. on bug spray! I've been looking for some non-chemically options & plan on picking up Aubrey Organics soon!